Everybody here is very passionate about the brand, their job and our product innovations. I was born in Iserlohn. When I was a child I passed the Hemer plant many times and would always see the GROHE logo on the factory wall. When I had finished my studies in International Business, I applied for a position in controlling with GROHE and I was really excited to be offered the role. In deciding to take the GROHE opportunity I actually declined two other job offers from well-known consumer brands. The spirit at GROHE is characterised by performance and a high degree of commitment to our targets. I feel everybody is very passionate about the brand, their job and our product innovations, which leads to a high identification with the brand. It is a little bit overused but I think the expression “work hard, play hard” describes it very well. That was last Friday during the team quiz night that we organise every now and then in the office. We even have a “phone a colleague” section for those who are not in the office or travelling so that we can all be involved and have a laugh. I see GROHE on a journey. During the last ten years the company has gone through a completely positive transformation. The structures and processes have evolved quickly and continue to do so. If you look at our modern innovation pipeline alone, this reflects our transformation. The main challenge will be to position the brand in a way that enables us to maintain our position as market leader in a fast-paced environment, stay flexible and win the race to the end consumer. I think GROHE has one of the best starting positions in this game. At GROHE you never stop learning. In what ways, has working at GROHE helped you develop? One week is never the same as the week before and developments demand a high degree of flexibility from you. Every time I have been offered a new role within GROHE, it has clearly been a new challenge. Sometimes you ask yourself: am I ready for this step? But with the trust the leadership team has in you, you decide to take up the challenge. I have no regrets about any of my career choices since joining GROHE. My favourite GROHE product is the GROHE Blue which I use every day in the office, but also at home. I love this product because it not only protects the environment by saving water and CO2, it saves me time on the weekend as I do not have to buy water boxes or return empty bottles anymore. 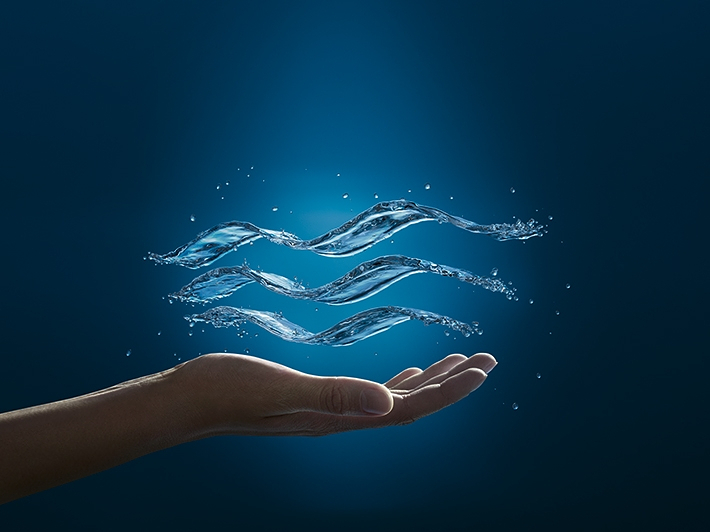 It also symbolises best what GROHE stands for, especially sustainability. When we have friends coming over to our house for a cooking evening, the idea amazes everybody. You are a good example of a successful career at GROHE. What should someone bring to be successful here? If you are looking for a high performing company with a positive “can-do” attitude and great, respectful teamwork, you are right to apply to GROHE. You need to be ready to go the extra mile but you will certainly reap the rewards. Finally I would say, work steadily with an entrepreneurial attitude to reach your goals. This is what helped me make my way at GROHE. What expectations did you have of GROHE as your employer and were your expectations fulfilled? I was looking for a brand that I could identify with, a company that would develop my skills and personality. As a company with a German heritage, GROHE gave me the opportunity to pursue an international career working in four different countries and also switching between functions. I must say not many companies provide you with the opportunity to develop your career in such a way at only 35.